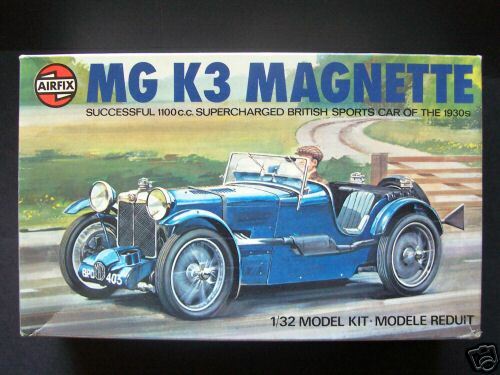 Perhaps the best known make of British sports car in the 1930s was the MG. A number of different cars were produced by the company but the K3 Magnette stands out as one of the best. It claimed numerous racing successes during its life and was driven by some of the greatest racing drivers of the period. Drawn direct from one of the few surviving examples, this finely detailed model forms a fitting tribute to the car and its designers. Included in this 91-part kit is a driver and full interior detail.